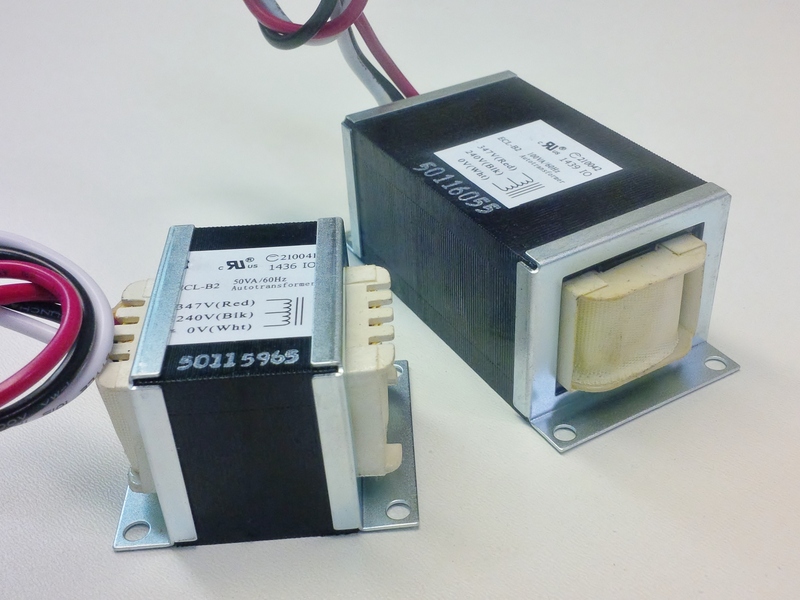 Plated Steel Mounting Brackets are available for our "Slim Line" LED lighting open-type step-down transformers that a user can easily install themselves. The brackets simply slip over the core at either end and "contain" the transformer when the brackets are fastened-down to the lighting fixture by screws. Save significant cost by simply installing them yourself or alternatively, they can be shipped PRE-INSTALLED from Electronic Craftsmen for a nominal additional cost. Click on the part number in the Slim Line table of parts for specifications for mounting centers.